Thames Valley Kings secure victory against Gloucester Blazers this past weekend. 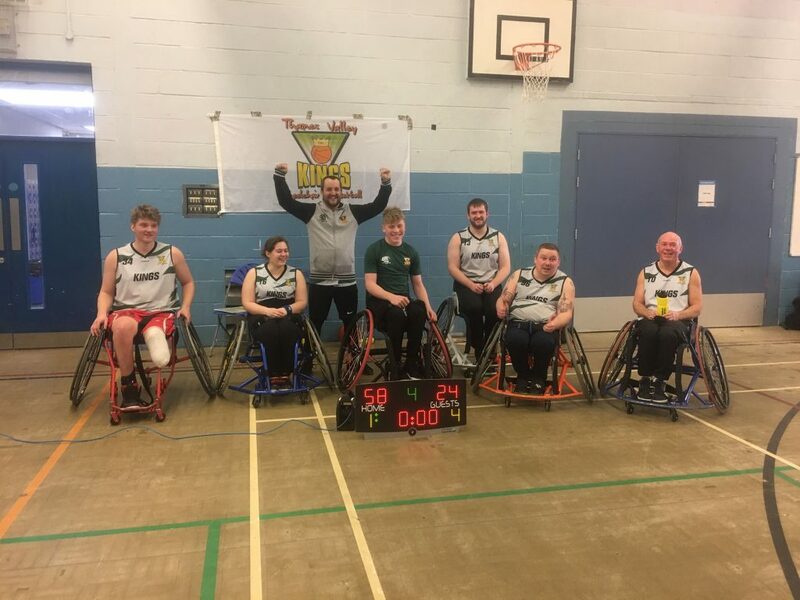 The Thames Valley Kings Division Three team made a return to Kennet Leisure, Thatcham for their return fixture against the Gloucester Blazers on Saturday and came away with their first win of the season – 58-24. The game started strongly for the Kings as Peter Rapley and Mo Daller both finding the basket for Kings who took an early eight-point lead before Blazers found the basket, Kings continued to apply the pressure and saw Nick Grost and Rapley add to the tally before the end of the quarter, to leave Kings leading 12-4. Kings continued to increase the pressure in the second, racking up 17 more points which included Corey Bloomfield finding his first points. The Kings defense broke the Blazers offense and kept them out of the paint restricting the away team to just long-range shots, The Kings taking a commanding 29-8 lead at half-time. The third quarter saw a Blazers fight back of sorts but the quarter ended more evenly matched with both teams finding the basket in an end-to-end quarter. Kings managing to increase their lead to 45-20 with Rapley and Daller finding the net multiple times. The final quarter saw the Kings make a 13-point unanswered run with Daller, Grost and Rapley finding the basket as the Kings defense continued to stand firm even as they tried restricting the Blazers to just 4 points in the quarter. 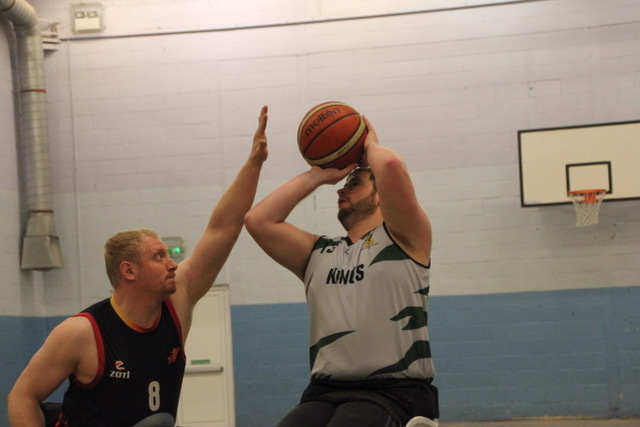 Kings Division Two are in action this Saturday against the Hackney Sparrows at the FBC Centre in Wokingham, Kings Junior League team will return to action in Swansea on March 2nd and the Division Three team are next in action against Swansea Storm at Kennet Leisure Centre, Thatcham on March 9th.